Bangi, Aug 20, 2010 – Prof Tan Sri Dato’ Dr Sharifah Hapsah Syed Hasan Shahabudin has been reappointed as UKM’s Vice Chancellor for another two year term till Aug 27th 2012. She has been at the helm of the university since Aug 27th , 2006. Her reappointment was announced by the Chairman of UKM’s Board of Directors, Tan Sri Dato’ Paduka Mazlan Ahmad in a statement today. While congratulating her for the reappointment, he called upon all UKM’s staff to continue giving their unstinting support to Prof Sharifah Hapsah to enable her to give her best for the benefit of the university. Tan Sri Mazlan said the reappointment was made by the Minister of Higher Education under Section 12 (1) of UKM’s Constitution. 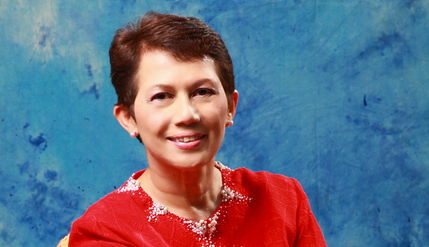 Prof Sharifah Hapsah received her MBBS from University of Malaya in 1973 and Master’s in Health (Personnel Education) from the University of New South Wales Australia in 1982 and her Doctorate in Medicine in 1997. She began her career as a lecturer in the Faculty of Medicine UKM in 1975 and last held the post of Head of Medical Education Department of the university. She has held various posts including Director International Relations UKM (1996-2000), Deputy Director Department of Higher Education, Ministry of Higher Education (2000-2004) and Director of Quality Guarantee Division of the Ministry of Higher Education (2004-2005).